There’s nothing quite like the sun streaming through your window, especially in the morning. This isn’t exactly an easy thing to replicate, but I think that this surreal window shadow illusion does a pretty good job of it! At first glance, even I was fooled and thought that this was nothing but a shadow of the window frame on the wall. It’s not, though. This is actually the work of artist Regina Silveira. The “shadow” on the wall and floor is not real, but painted on. This artist definitely captured all of the proper angles and lines to recreate a very realistic shadow. It makes me wonder if this window shadow illusion was modeled after an actual shadow. What do you think? And, don’t forget to rate this optical illusion as well before you go! 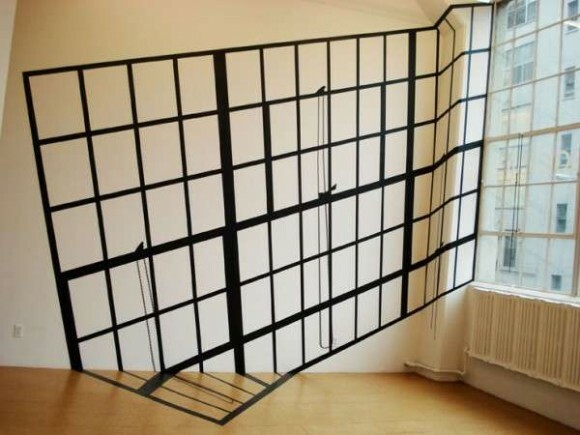 Like this realistic window shadow illusion? Head over and check out some of Yumi Kamashita’s work, which uses real shadows in the actual artwork! Prev Insane Iron Man Lego Illusion! Next Possibly the BEST Leaning Tower of Pisa Illusion Picture Ever!